Audrey struggled with her weight all of her life and was brought up on Shake n Bake, boxed side dishes, fast food and microwaved meals. “I was always the heaviest person in the room,” she says. Audrey tried every major fad diet but was heavier than ever. At her heaviest, Audrey weighed 278 pounds on her 5’3” frame. She was eating under 1,000 calories a day of frozen diet meals and drinking diet sodas. “All along, I was gaining weight.” In 2010, she gave up her first love: diet sodas. When she lost 10 pounds the first week without any other modifications to her diet, Audrey knew she was on to something. Then she gave up all artificial sweetners and lost another 5 pounds. The following week, she gave up preservatives and dropped another 8 pounds. After one year, she had lost 150 pounds in 11 months and went from a size 24 to size 4! Audrey documented her success and the tools she used to reach her goals on her blog, Lose Weight by Eating. Since then, she has fluctuated up and down 15 pounds over the years. “Partly because I’m human and I make mistakes,” says Audrey. “After losing 150 pounds, 15 pounds is not a big deal.” To get back on track, Audrey says that’s where Detox Week comes into play. 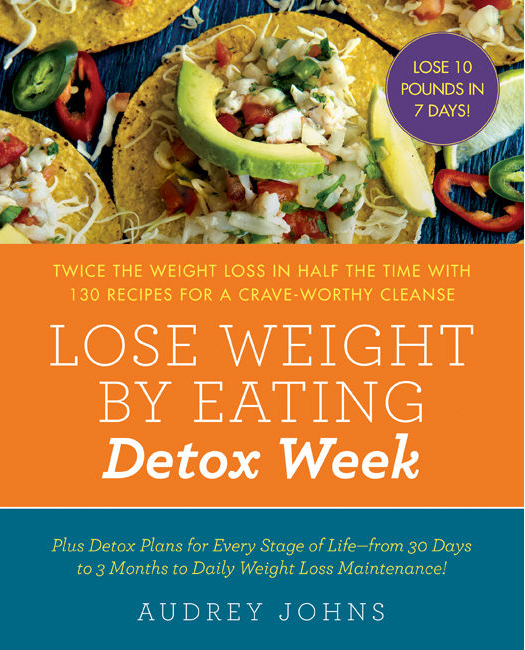 Shortly after completing her first cookbook, Lose Weight by Eating, Audrey created the original Detox Week. It quickly became the most popular page on her blog and people began writing in about how much weight they had lost, some up to 18 pounds in one week! Readers have used the programs to overcome plateaus, jump-start weight loss, and to lose those last stubborn pounds they have been fighting for years. After a single week, Audrey says they claim to start craving healthy foods, so the usual weight regain after a short weight-loss program rarely happens. Audrey says there is no fasting nor taking of any diet pills. “Detox drinks, foods, pills and products that weight loss companies push are just a waste of money,” she says. “All you will need is groceries.” She says her original plan on the Lose Weight By Eating can be used on a regular basis. “Maybe throw in a Detox Week before a vacation or after you eat too much naughty stuff,” she says. 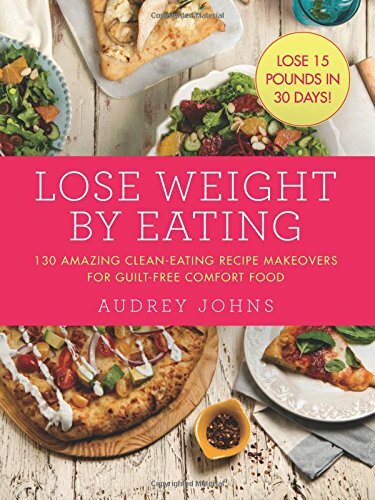 Audrey will show us Club Sandwich Salad, page 82; Spinach and Goat Cheese Chicken Sandwich, page 174; Chicken Pot Pie Pasta, page 206; and Dark Chocolate Coconut Brownies, page 264.